Believe it or not, Seahawks Safety Earl Thomas isn't the only guy whose playing status is in question for today's game. Other key players for Seattle and the Dallas Cowboys appear on the teams' Week 3 injury reports. The Cowboys are looking to move to 2-1 and maintain a slim lead in the NFC East. The Seahawks are still looking for their first win of 2018, and the drama around Thomas isn't helping the fear of a locker room implosion. What players may not be out there to help their teams to victory? Frederick remains out as he deals with his neurological disease. Dallas decided to keep him on the 53-man roster, rather than place him on injured reserve, with the hope that he could return before Week 9. There are still several weeks before we'll know if that was a good move. Maliek Collins will be out today after a minor knee injury suffered last week against the Giants. Taking his spot will be Datone Jones, who returns from his own knee issue after missing the first two games. You don't like seeing your quarterback's favorite receiver and your defensive leader on the same injury report. 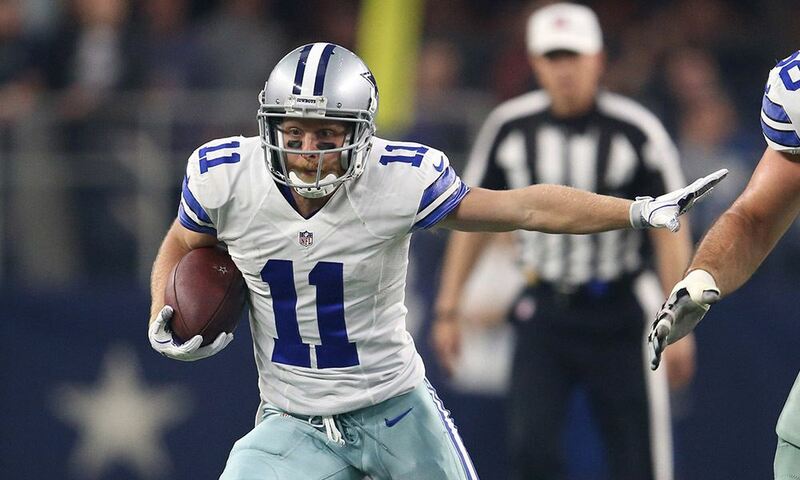 Thankfully, though, it appears both Cole Beasley and Sean Lee will be available today. For the #Cowboys, WR Cole Beasley (ankle) is expected to play, and LB Sean Lee (hamstring) should be good to go, as well, based on how he moved around in practice on Friday, sources say. Finally, we come to the ever-intriguing Xavier Woods. While limited in practice all week, Woods is expected to make his season debut in Seattle. We will see if Xavier gets the start at free safety, or if Dallas will ease him back in and keep Kavon Frazier starting for now. With all of the hype around Dallas' possible acquisition of Earl Thomas, one has to hope that Xavier won't overdo it and make matters worse with his hamstring. Between the enthusiasm just to play and the threat to his starting job, the second-year stud should be pretty amped up. S Earl Thomas (???) - ??? Seattle remains without Baldwin, their leading receiver from 2014-2017, and it shows in their offensive play. QB Russell Wilson is currently at career lows in completion percentage and passer rating, plus has already thrown three interceptions in just two games. The Seahawks have issues up front as well. Starting left guard Ethan Pocic will also miss today's game. With right guard D.J. Fluker returning this week after missing the first two, that will allow backup J.R. Sweezy to flip over to the other side. If that wasn't enough, starting center Justin Britt missed the entire week of practice with a shoulder issue. He has not been ruled out, though. Regardless, those are a lot of red flags on your offensive line with the Cowboys' emerging defense coming to town. Also out today will be Pro Bowl linebacker K.J. Wright. That means we could see Mychal Kendricks, who was just recently booted from Cleveland after being charged with insider trading, playing a major role today. Kendricks knows the Cowboys well, having played with the Eagles from 2012-2017. No health or injury-related reason has been given for why Thomas missed practices on Wednesday and Friday. "Personal reasons" is all you're getting from Seattle, fueling rampant speculation that a trade is in the works. Whether or not that trade is with the Dallas Cowboys is pure conjecture at this point. What we do know is that Seattle is 0-2 and trending down this year. Holding onto Thomas and his expiring contract, only to lose him for nothing next year in free agency, would be foolish. We'll see if Earl plays at all today. If he doesn't, the trade talk is going to explode. Could a Cowboys Win VS Seahawks Spark an Earl Thomas Trade? The 2018 NFL season has come to an end for the Dallas Cowboys. The Los Angeles Rams were simply the better team on Saturday night in the Coliseum and it showed in the 30-22 loss. While it was a disappointing performance, there were several things to take away from the game to give us reason for optimism moving forward. Connor Williams played well against Aaron Donald and Ndamukong Suh on the interior, Dak Prescott kept the team in the game despite little help from the running game, and Head Coach Jason Garrett perhaps coached his best game from a management point of view. After the first drive, this game had one of those, if the Dallas Cowboys have to punt, it's likely going to be a loss feels. The defense's inability to force more than one punt or create a turnover was going to make it really difficult for the offense to keep up, and yet at the end of the game, the Cowboys were within a score and had a shot to win. Dak Prescott deserves a lot of credit for that, but so does Jason Garrett. 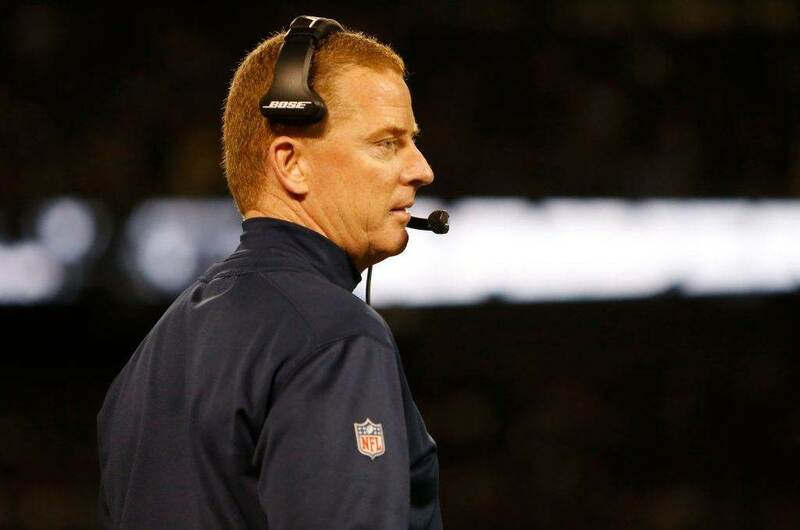 Jason Garrett has long been viewed as a conservative coach in the NFL, and this season he didn't do much to help his reputation, but that game on Saturday should change some of that perception. On a night where it looked like his defense didn't have it, he called the game he needed to maximize his team's possessions. On the opening drive of the game for the offense, the Cowboys got to the Rams 49 yard line, but faced a 4th and 1. Garrett didn't waste any time going for it and the Cowboys were able to convert on Ezekiel Elliott's five yard run. A Marcus Peters' unneccessary roughness penalty gave the Cowboys an extra 15 yards and the Cowboys scored on the next play on Amari Cooper's 29 yard catch and run to give the Dallas Cowboys the lead. It would be their only lead of the night. Again, in the second half, the Cowboys faced a 4th and 1, this time it was at the Rams 41 yard line and this time, the Cowboys were down 23-7. This was not nearly as difficult a decision as the Cowboys were in catch up mode and needed to get a score to bring the game within striking distance, and they did just that. Again, Elliott picked up five yards when the Cowboys needed one and Elliott capped off th drive with a one yard touchdown run after Michael Gallup's long reception on a broken play. At the Rams 35 yard line and the game within reach, the Cowboys went for it again on fourth down, but this time were stopped short of the first down marker when Ndamukong Suh made an excellent play to prevent Elliott from picking up the yard. On the play, you can see Suh start to Joe Looney's left, which forced Elliott to go to Looney's right and Suh followed Elliott into the hole. There was much Looney could do as Suh had the necessary leverage to make the play. It was absolutely the right call to go for it in that situation, but the Cowboys went to the jumbo formation-Elliott inside run one too many times. It was clear where the ball was going to go in that situation, and they were stuffed. On what turned out to be the final drive of the season for the Dallas Cowboys, they needed to score and score rather quickly to have a chance to get the ball back one more time. The offense scored, but took a little too much time doing so as the drive took just over five minutes off the game clock. Again, on the drive, they were faced with a fourth and 1, but this time they used Dak Prescott and Ezekiel Elliott on a speed option to the right and they were able to convert and eventually get the touchdown. For the game, the Dallas Cowboys went three for four on fourth down attempts. In the middle of the third quarter, the Dallas Cowboys scored to make it 23-13. Generally in the NFL, teams don't go for two until they have to go. Knowing that possessions were going to be few and far between the Cowboys were likely going to have to score on every possession the rest of the game, Garrett went for two and the Cowboys converted to make it an eight point game. Then after the Dallas Cowboys scored to make the game 30-21, there was much discussion on social media on whether the Cowboys should have gone for two there or just kicked the extra point, which was a bit surprising. To me, it was simple. Kick the extra point to make it 30-22 and hope your defense gets you the ball back and you can score again. If you go for two in that situation and don't make it, the game is essentially over with just over two minutes remaining. Taking the extra point kept you in the game, even if it was still only a slight chance to pull out a win. With about 3:20 to go in the third quarter, the Dallas Cowboys defense faced a third and two situation around midfield against the Rams. They were able to force Rams Quarterback Jared Goff into a hurried throw and he overthrew Josh Reynolds in the flat for what would have been a first down. On the play there were two penalties, offensive holding and offensive pass interference and Jason Garrett declined the penalties. To me it was one of the boldest coaching decisions has made in his career on something that seemed very innocuous. Sean McVay and the Rams were having their way with the Dallas Cowboys defense as Todd Gurley and C.J. Anderson gashed their way to over 100 yards rushing each. With the Rams facing a fourth and two on the Dallas Cowboys side of the 50 yard line, most people thought the Rams would go for it there and completely steal the soul of the Dallas Cowboys. Johnny Hekker did his best to get the Dallas Cowboys to think he was going to run a fake, but the Cowboys never panicked and stayed onside as the punter attempted to game them. It was a huge call in that situation. If Garrett accepts the penalties, the Rams would have faced a third and 12 at their own 43 yard line, but would have had another opportunity to convert the first down and extend the drive. I really liked the call, because it put McVay in a difficult position himself. If the were to go for it and fail to convert on fourth down, the Cowboys would have gotten the ball at about midfield with a chance to tie the game. With the new rules governing kickoffs, mainly that teams have to keep a amount of players on each side of the kicker, onside kicks have become less and less successful in today's NFL. Even before the rule changes, recovering an onside kick was less than a 50/50 proposition. Kicking deep was really the only decision to make. The hope is that your defense is able to get a stop and the Cowboys would get the ball back with decent field position. The Dallas Cowboys run defense came up big on first and second down, holding the Rams running game to three yards setting up a third and seven. Just as everyone was expecting the Rams to throw it, they ran a play action with a naked bootleg that left Jared Goff all alone on the outside with a ton of room to run, and zero Cowboys in position to prevent him from picking up the first down. On Saturday, Ian Rapoport from NFL Network, reported the Cowboys were looking to extend for Jason Garrett this offseason. It should come as no surprise as he helped orchestrate an impressive turnaround from 3-5 to 10-6 and NFC East champions all while fielding one of the youngest teams in the NFL. Jason Garrett has grown a lot as an NFL head coach and in the playoff loss, made excellent decisions to keep the Cowboys in the game. He's going to be around here for a long time and there should be a lot of optimism heading into 2019 that the Cowboys can make some strides. Well Cowboys Nation, the Dallas Cowboys 2018 season had to come to an end at some point. 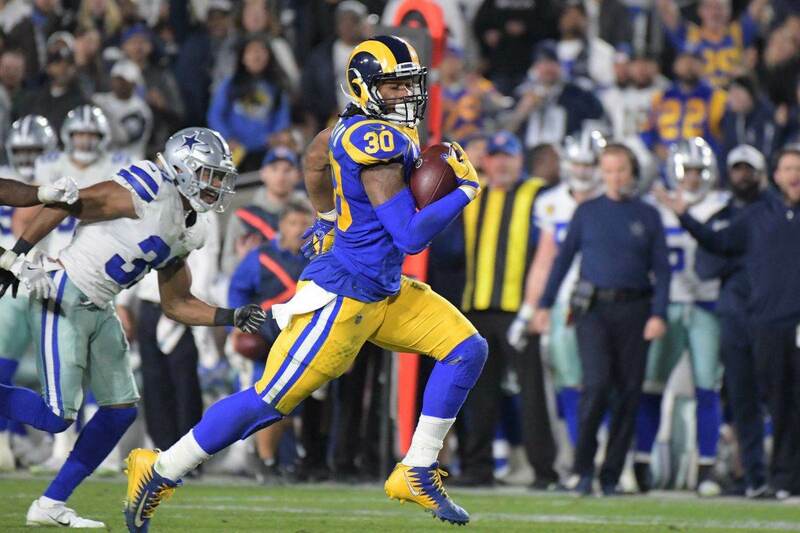 Not many of us would have predicted earlier in the season that it would've come at the hands of the Los Angeles Rams in the NFC Divisional Round, but that's what happened and it's kind of bittersweet. I don't know how you feel today, but I don't find myself all that upset the Dallas Cowboys season is officially over. Yes, I would've loved to see them completely dominate the LA Rams and advance in the playoffs, but I'm surprisingly really pleased with the way this team played this season. We have to remember that this is a young team and this is hopefully just the beginning of something great. Today, I want to share with you some of the positives and negatives from the Cowboys game against the Rams Saturday night. This of course will be the last edition of The Good, The Bad, and The Ugly for the Dallas Cowboys 2018-2019 season. Finding the positive after a loss isn't always the easiest thing to accomplish. The Dallas Cowboys didn't particularly play their best football Saturday against the Rams, which makes it even more difficult. But for me, the good has to be the resiliency and grittiness the Cowboys played with in LA. I don't think anyone would argue that the LA Rams pretty much dominated the entire game Saturday. They put the Cowboys on their heels pretty much from the get-go, which took them out of their game. Dallas was never really able to establish their running game and couldn't get the Rams offense off the field. They've been able to pretty much do that against all their opponents this season, but just fell flat at the wrong time. Despite getting manhandled, the Dallas Cowboys continued to fight back and never quit. They could've easily rolled over and given up, but they didn't. I think that really speaks volumes to the kind of players Dallas has on the roster. This is a really talented young team with a bright future ahead of themselves. Anyone who watched the game Saturday night pretty much knows what goes in this category. The bad for me and probably everybody else is how the Dallas Cowboys defense was gashed by the Los Angeles Rams rushing attack. C. J. Anderson and Todd Gurley absolutely dominated on the ground, leading their team to victory. I knew the Rams rushing attack would give the Cowboys defense problems, but I never imagined they would rush for nearly 300 yards and multiple touchdowns. C. J. Anderson and Todd Gurley may be the ones earning all the praise with their performances, but they definitely wouldn't have found as much success as they did if not for their offensive line. Dallas' front seven has been really good against the run all season. They only allowed a couple of 100 yard rushers this season (Chris Carson, Marlon Mack) until Anderson and Gurley both rushed for over 100 Saturday night. Unfortunately, the Cowboys DL just got overpowered by the Rams OL and it definitely impacted the outcome of the game. What was pegged to be a matchup between two of the best running backs in the NFL, Todd Gurley and Ezekiel Elliott, ended up being pretty much a one-man show. That is why the ugly Saturday night for the Dallas Cowboys in my opinion was their rushing attack. We all know the Cowboys offensive blueprint is to establish the running game to help control the clock and game speed. That unfortunately never materialized Saturday night against the Rams, a team by the way that was giving up 5.1 yards rushing to opposing running backs. It was supposed to be a matchup that favored Zeke and Dallas' ground game. I'll give credit where credit is due though. The Rams defensive line stepped up their game and didn't allow Zeke to get any kind of momentum going in the running game. They gave the Cowboys OL all they could handle and pretty much made their offensive attack one-dimensional. They wanted to put the game in Dak Prescott's hands and for the most part accomplished what they set out to do. What is your good, bad, and ugly for the Dallas Cowboys against the LA Rams? 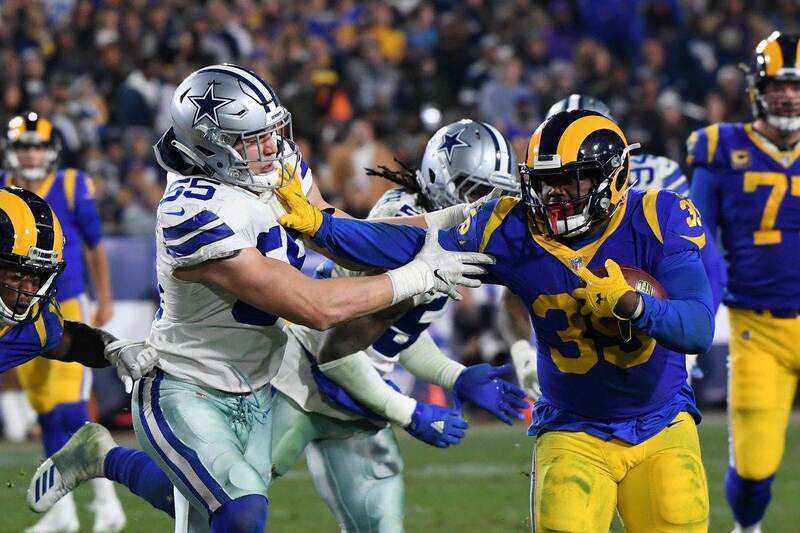 The last round of the Dallas Cowboys fight in 2018 came at the hands of a hungry Los Angeles Rams team, ending their season in the Divisional Round behind 273 rushing yards. Effectively, the third seed in the NFC beat the Cowboys at their own game with the bye week to prepare. The fallout from this loss won't be fully realized until the sting is gone, but sweeping changes aren't expected in Dallas after a resurrection from 3-5 saw the Cowboys within a few plays of the NFC Championship Game. How those plays were made and what the Rams did to execute a near flawless game plan is the subject of this final Sean's Scout of the season. The Rams' success on the ground against Richard's defense was stunning for a lot of reasons, none more so than the way Linebackers Leighton Vander Esch and Jaylon Smith struggled to react and fight off blocks. The Cowboys issues at linebacker were a result of their front four getting blown off the ball all game by LA's offensive line. I wrote in my final game preview piece about how the Cowboys needed to win the line of scrimmage on both sides, losing with their own offense when the game was in the balance and never putting up a fight on the defensive line. To the Rams' credit, even the simple things Sean McVay's team executes are done with an attention to detail that makes them very difficult to contain. The Rams did a great job scheming blockers to the second level, where Smith and Vander Esch were handled to the point of playing tentatively and taking poor angles. In what could be his final game with the Cowboys or the end of his career, Sean Lee played 21 snaps, one shy of his week 17 total when the Cowboys played the Giants with the division already wrapped up. Getting caught in a game they couldn't possibly win against the better team at home, the Cowboys defense had no answers for Todd Gurley and C.J. Anderson. Dak Prescott's "in the grasp" call when he scrambled into La'el Collins' arms on third down was a bad look for the officials, but also an injured Cole Beasley, who was late working his route back to Prescott and into his line of vision. If Beasley was at full strength, he's likely able to stop his vertical route sooner and give Prescott an easy throw underneath as he rolled to the right. Left with nowhere to go, Dak had the play blown dead after Right Tackle La'el Collins wrapped his arms around Prescott while scrambling. With the way the Rams came out on offense, it became clear that every Cowboys possession would be of dire importance. Losing one on a strange call like this was a blow Dallas never had a chance to recover from. Lost in the Cowboys turnover on downs in the fourth quarter, the final time they touched the ball within a score, is the incredible third down throw Prescott made on the run to Noah Brown. To give his offense a chance on fourth and short, Prescott delivered a strike to Brown on the sideline for 13 yards. Without being able to set his feet, Prescott felt the pressure well and put the ball where only Brown could secure it falling out of bounds. It's unfortunate the next play became the defining moment of the season for Dallas. Deciding to attack the strength of the Rams' defense, Aaron Donald, Ndamukong Suh, and Michael Brockers were ready for an Elliott rushing attempt right up the middle out of 12 personnel. Not only was Center Joe Looney beat on the play, but Collins lost leverage and was beat across the face to further clutter the middle of the field for Elliott to be stopped short. Making matters even worse, the Rams came out and attacked the Cowboys defense by flashing the misdirection plays that worked all night. In just 12 plays, Anderson scored his second touchdown to all but put the game away for LA. The Cowboys would use Prescott's legs much too late on the ensuing drive, getting into the end zone but failing to get the ball back. As mentioned, this won't be an offseason of drastic change for the Cowboys. Bowing out in the divisional round for the second time in three seasons, adjustments to both the coaching staff and roster are needed for this team to take the next step. For a team that looked nothing like a postseason contender for much of the regular season, the Cowboys improbable run of close wins came to an end against the Rams - determined to not lose their first playoff game in consecutive seasons. They won't be happy with the result, but the Cowboys should be proud of their final outcome on this year. As always, I'd like to thank Cowboys Nation for reading another season of Sean's Scout. Win or lose you make this job fun. Tell us what you think about "Sean’s Scout: Cowboys Run Defense, 4th Down Decision End Season in Los Angeles" in the comments below. You can also email me at Sean.Martin@InsideTheStar.com, or Tweet to me at @SeanMartinNFL!